Can I stream to Streamcraft? Streamcraft is a new and quickly growing streaming destination for gamers! 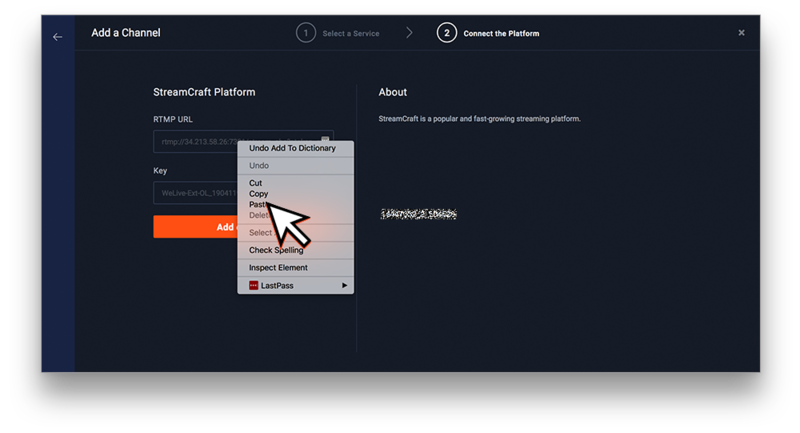 Note: In order to connect Streamcraft to Restream, you must have an account. 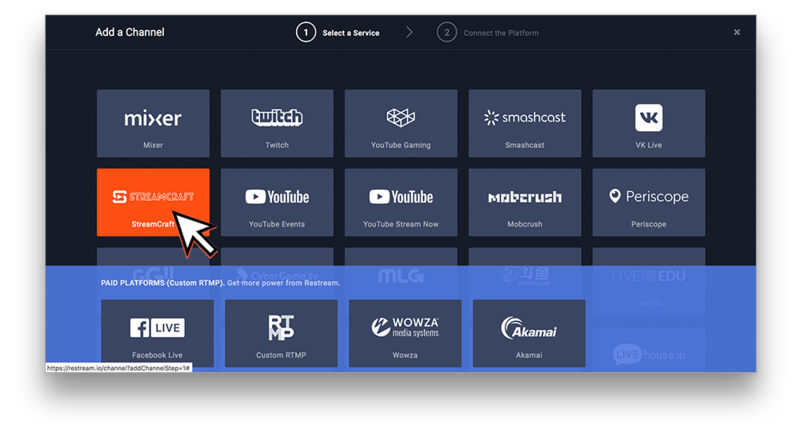 To start connecting Streamcraft to Restream, go to your Restream Dashboard and click "Add Channel." 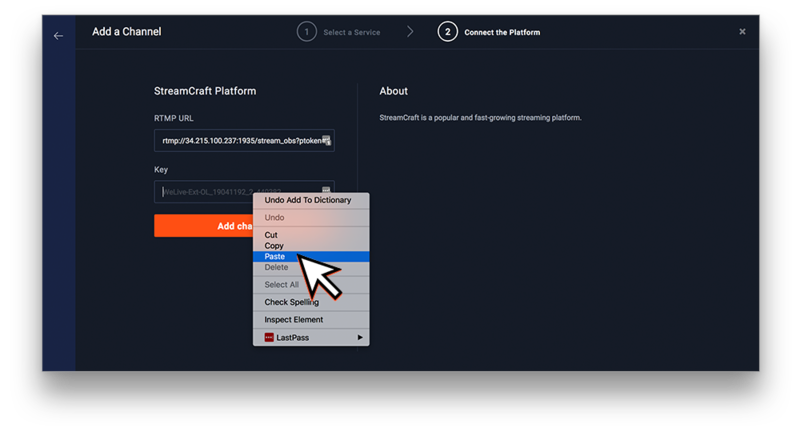 From the list of supported services, click on Streamcraft. We now need to grab the RTMP URL and Stream Key. 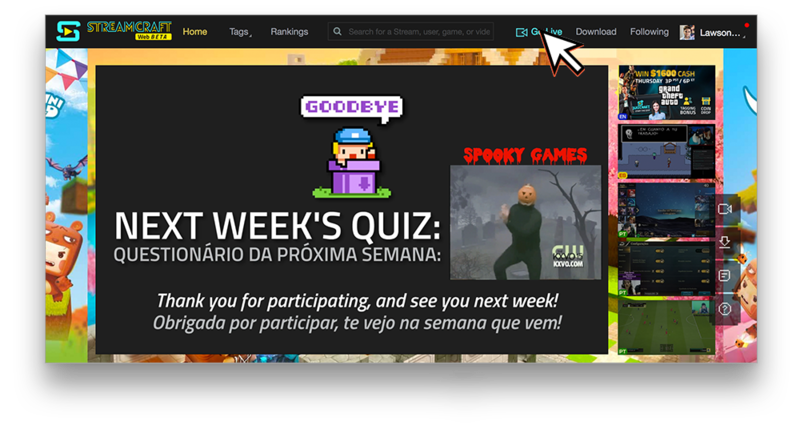 From a new tab open Streamcraft's website and from the home page click "Go Live" at the top right. 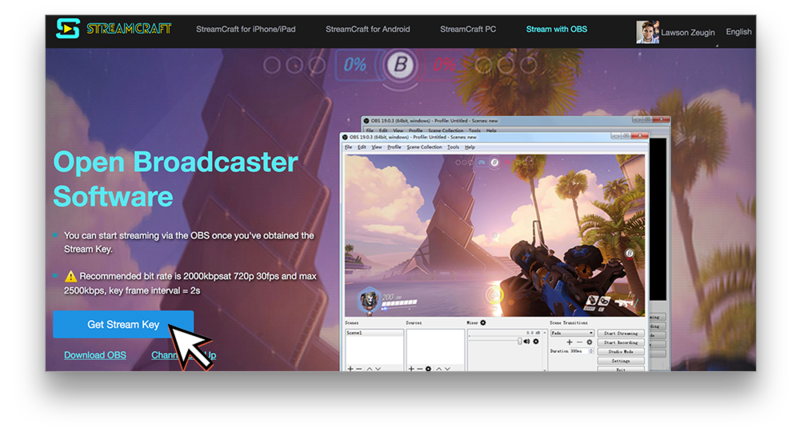 From the "Stream with OBS" section click on "Get Stream Key." 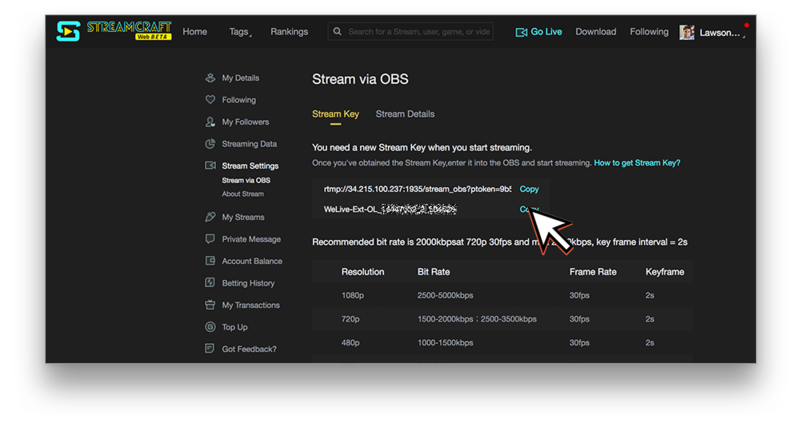 Click on "Get Stream Key" once more. Click "Copy" for the first box. 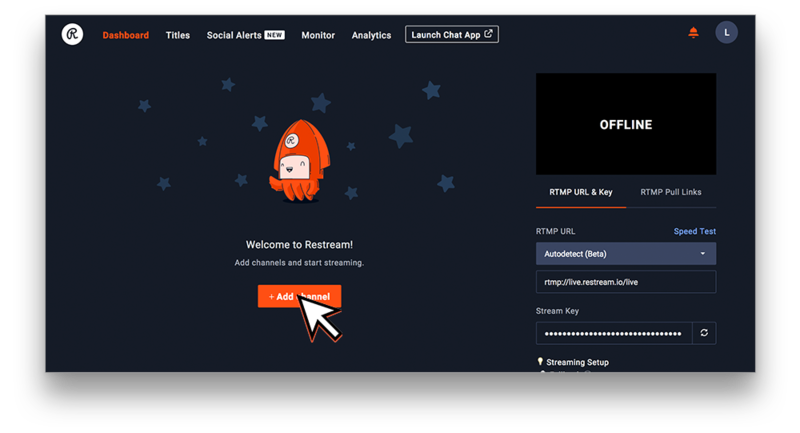 Go back to your Restream Dashboard tab from earlier and paste it into "RTMP URL" box. Go back to Streamcraft and click "Copy" for the second box. Then go back to your Restream tab and paste that in for "Stream Key." After both boxes are filled in, click the orange "Add Channel" button at the bottom. 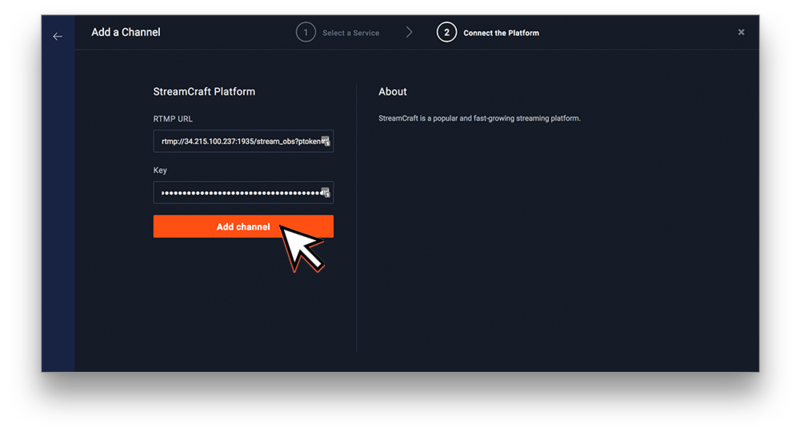 You're now ready to start streaming to Streamcraft with Restream!